Something that has been on my heart lately is really telling you guys about this blogging journey-how much it takes and how I have managed to stay afloat. Time, energy, creativity, photo shoots, editing, writing sessions…. well you get the picture. Don’t get me wrong, I am only 4 months into my blogging journey but I am hooked! Between having a full time job and a blog on top of that, one thing that I have learned is that you really can’t do it all on your own. [Insert tribe here]. What is a tribe? Well google defines it as a distinctive, close-knit group with a common culture and dialect. Your tribe is exactly that. They have your back. They keep you inspired to keep going and keep creating. They are the girls (or guys) that you can go to for questions and that cheer you on. And above all they should be your biggest support group. That’s what these ladies below are to me, and I am sharing my secret on how you can grow your tribe too! There are a lot more ladies that I have met through this blogging journey that I can call some of my best friends and, slowly but surely, that tribe grows! So in case you didn’t see my Thrive Tribe post, I want to introduce to you Dawn from Dawn P. Darnell, Dede from Dress Up Buttercup and Margret from Style The Girl. Get out and make it happen– Things and people do not just come to you. This applies to so many things in life but I say that because you cannot just expect your tribe to happen. You have to make it happen. It might be awkward to reach out to people but if it’s one thing that I have learned is that people are usually open to meeting up because who doesn’t want new friends? Use Instagram- My biggest suggestion is using Instagram to find like minded people. It sounds creepy at first but just get past that because I promise you 1) it is not, everyone does it and 2) it is how I have met the majority of my blogger besties. Follow people on Instagram that inspire you, have similar interests to you, and honestly people that you could see yourself being friends with. Connect with those people. Like and comment on their stuff letting them know that you enjoy their content and that they are doing a good job. Doesn’t everyone like to be praised? The answer is yes and it will get you noticed. The chances of them wanting to get to know you will increase greatly if you have already established that connection. Don’t be fake– I felt like I should follow up that last point with this one. Be genuine in your interactions and don’t have ulterior motives. It is easy to spot someone that is not reaching out or making contact for the right reasons. I’m going to leave this one at that. Ask to get coffee- Almost anyone has time to get coffee and chat. It doesn’t hurt to ask. I have had a lot of luck reaching out to people and asking if they would just like to meet up and get coffee. Coffee is non-binding and is just the right amount of time. If the meet up goes horribly wrong (which I can say has never happened to me), you can chug your coffee and get out of there in no time. The majority of the time though we end up staying hours and the coffee was just a ploy to get us both there. Attend local blogger events- This one is a little tough until you are a bit established, but the best way I find out about local events is through social media. Facebook being a big one. Go follow other bloggers on Facebook and like their actual blog page. This is where a lot of bloggers will post about events. Once at the event don’t just talk to people you already know. I usually catch up with my girls and then make a point to make my rounds. There are usually people there that I recognize from Instagram so I will go up and introduce myself. Social media can make a connection but face-to-face interactions are far more personal and will establish a relationship. So there you have it, pretty easy right? You might have heard me say it before but I firmly believe that community over competition is key. There is enough room in this world for all of us to succeed! So if someone reaches out to you and wants to meet up, say yes! I take it as a compliment and love getting to know new people and chances are they are going to help you out at some point too. Such a great post! As a new blogger, this so helpful to me! SUCH a great post, Shelbi!! Each point is, well, on point :). Love having you in my girl tribe! YES it is by far the best part about all of this. Never in a million years did I expect to meet some of my best friends 🙂 And I totally agree about being patient! Definitely a good point. I SO agree Cara! I’ve been wanting to visit Chicago. I’m actually hoping to make it up there this year so if I do I will definitely reach out. Same goes to you if you are ever in Houston! I 100% agree! Love the idea of supporting each other over competing with each other! I was at Thrive this last weekend too and I don’t think we go to chat very much but I do remember seeing you at the conference! 🙂 Love your little space and am excited to keep following along!! Oh and I LOVED your dress from the conference..it was so cute! Aww thank you Kathleen! Are you in Houston as well? If so we must meet up! Totally agree about going out and meeting others. The Southern Bloggers Society is how I made most of my blog friends! Love being able to get together and hang out once every few weeks! Aww such a great post! I am so thankful for the blogger babes I’ve meant since I began! So many friendships that I wouldn’t have had otherwise. Love this. Thank you Christina! I agree, I am so thankful that blogging has brought me friendships that I never would have had otherwise! Shelby, I’m new to your blog, but I’d like to say, I wish we lived in the same city! You seem so genuine, which is the best trait ever! 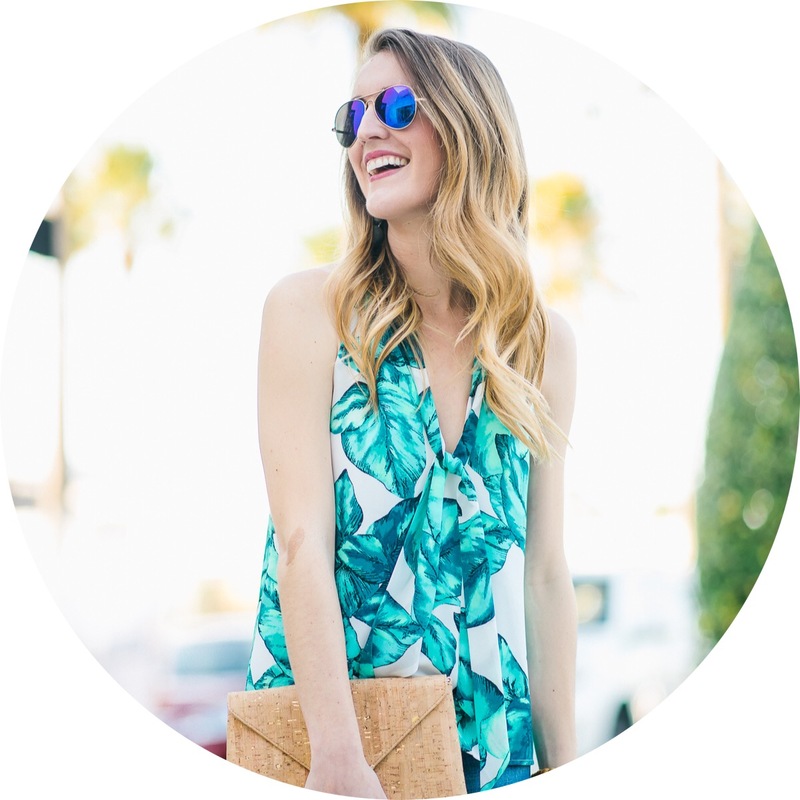 You are so lucky that you live in a city that is so blogger friendly! I have yet to make any blogger pals where I live, because the blogging community is almost non-existent! Keep up the awesome attitude!